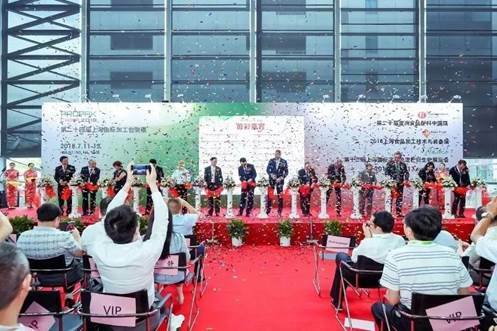 Fi Asia-China 2018 came to a successful conclusion at Shanghai New International Expo Centre (SNIEC) in Pudong on July 13, 2018. This session of exhibition enjoyed unprecedented popularity. The activities that made visitors stay and linger, and the enthusiasm of exhibitors and visitors for negotiation pushed the exhibition to an all-time high. Undoubtedly, the 2018 exhibition has provided more huge opportunities for buyers and suppliers on the site. 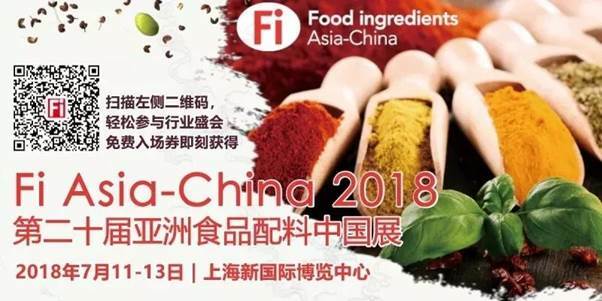 Different from the past, Fi Asia-China 2018 joined hands in strength with ProPak China 2018, Food Manufacturing 2018, and Starch Expo 2018 to build an event throughout the industrial chain of the food and beverage industry. Continuing to give play to the advantages of an Internet Plus exhibition, SJGLE.COM teamed up with this exhibition again to jointly create the 5th SJGLE Buyers Sourcing Event. This session of Sourcing Event was divided into two phases and gathered the essence of the whole industrial chain; both the numbers of suppliers and participating buyers and the Sourcing Event scale were further expanded than previous sessions. And compared to previous years, the varieties purchased were richer and the matching was more precise, which created unlimited business opportunities. 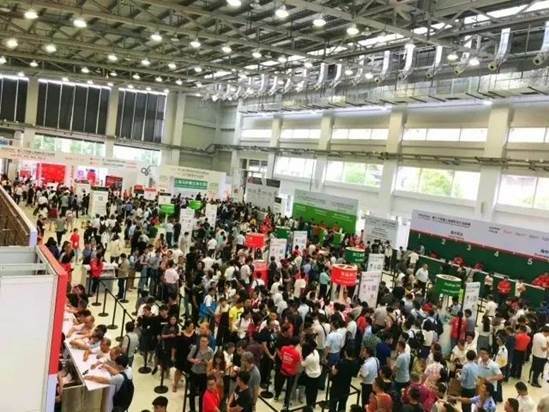 Integrating the upstream and downstream industrial chains in June and July, SJGLE.COM helped buyers achieve zero-distance negotiation with suppliers at SNIEC, the exhibition holding place, understand Chinese and overseas markets and capture effective business opportunities. Food industry is the largest industry in the world’s manufacturing industries, and food raw materials and ingredients, food processing, food safety, and food packaging, etc. show the modernization level of the food industry and are major benchmarks of peoples living conditions. Each link from the raw materials, processing technology, finished products, packaging, to consumption cannot be separated from trade platforms wher information flows freely. And this session of exhibition served as such a medium, which focused on additives, international trade, new laws and regulations, industry demands, and innovative equipment, etc. Industry workshops such as special conferences of associations and institutions, enterprise exchange meetings, and enterprise presentations were a focus of this exhibition. Scale of the exhibitions of Fi Asia-China 2018, and Hi China 2018, etc. 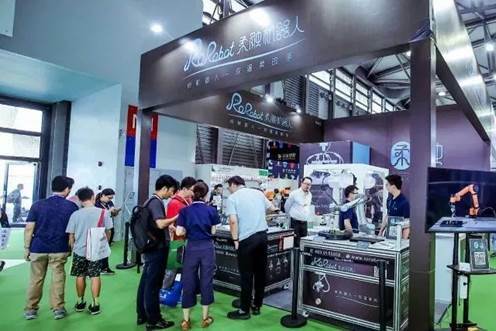 continued to expand with the joint efforts of the host, exhibitors, and visitors, which carried hopes and expectations of a myriad of enterprises for growing their business and driving brands on the whole food industry chain of China to go to the world. In 2019, Hi China 2019 and Fi Asia-China 2019 will be moved to the National Exhibition and Convention Center (Shanghai) (NECC) in Hongqiao. Currently as the largest individual building and convention and exhibition complex in the world, NECC has indoor exhibition halls of 400,000m2 and outdoor exhibition venues of 100,000m2, supported with a 150,000m2 commercial center, 180,000m2 office facilities, and a 60,000m2 five-star hotel. Around the NECC, there is the Hongqiao Transport Hub rarely seen in the world that extends in all directions, and also the geographic advantages of being close to Jiangsu and Zhejiang and facing the Yangtze River Delta. The First China International import Expo will be held there in Nov. 2018, which will provide historic opportunities for enterprises from various countries to enter the big Chinese market. The series of brand exhibitions of Hi China, Fi Asia-China, HNC, Starch Expo, and Agritech, etc. will be united in 2019, to form a whole-industrial-chain, diversified, and connected pioneered event of China’s processing industry that covers agricultural primary processing, food ingredients, food processing and packaging, and health products, etc. The total scale will reach 180,000m2 and more than 100,000 Chinese and overseas buyers are expected to participate. 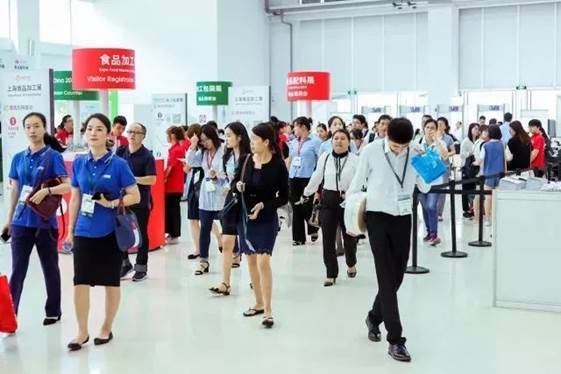 CPhI China 2019 will cover all halls of SNIEC for the first time, and is expected to reach 200,000m2 and attract over 3,200 Chinese and overseas exhibitors; it will become a professional exhibition in the vertical industry chain of the global pharmaceutical industry that is second to none. 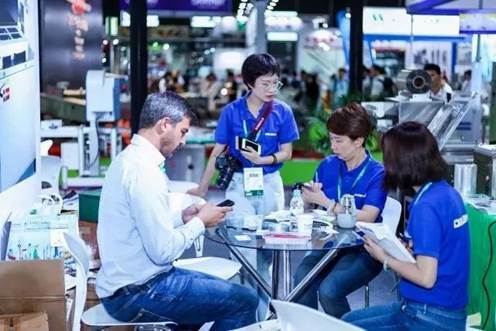 The heavyweight and authoritative top events of the food and pharmaceutical industries will be held concurrently for the first time in June 2019, by when, the total exhibition area in Pudong and Puxi will exceed 400,000m2, and resources of more than 5,000 exhibitors and 150,000 professional visitors will be shared, to create a record in the exhibition history of Shanghai. The two exhibitions on both sides of Huangpu River will take place and resonate with each other, gather quality products and merchants, create top events of the food and pharmaceutical industries, and add luster to Shanghai, the thriving international metropolis of China. Industry people from all over the world should not miss these events of the food and pharmaceutical industries that take place on both sides of Huangpu River in 2019. Let’s look forward to them!